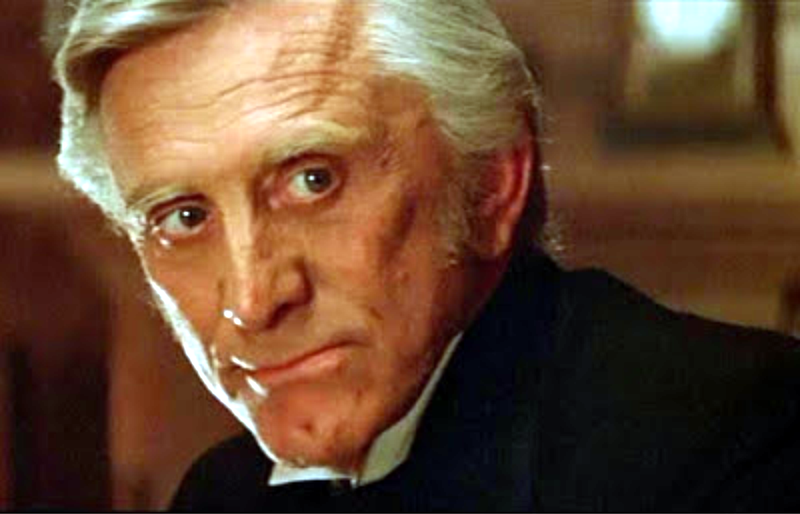 Actor-director-producer Kirk Douglas turns 100 today! In 1994, at the tender age of 78, Douglas received a Kennedy Center Honor during the second year of President Bill Clinton’s first administration. While the awards are non-partisan and the presidents have no role on selecting the recipients, there is usually some mutual admiration between the arts legends and the leader of the free world. At a White House reception prior to the 1994 presentation, President Clinton remarked that he and his wife had been watching all of Mr. Douglas’s movies and were “wondering whether, when the history of this Administration is over, it will be more like ‘Spartacus’ or ‘Gunfight at the O.K. Corral.” The jury may still be out on that one. This entry was posted in Film, Government and tagged Bill Clinton, Hillary Rodham Clinton, Kennedy Center Honors, Kirk Douglas by Scott. Bookmark the permalink.